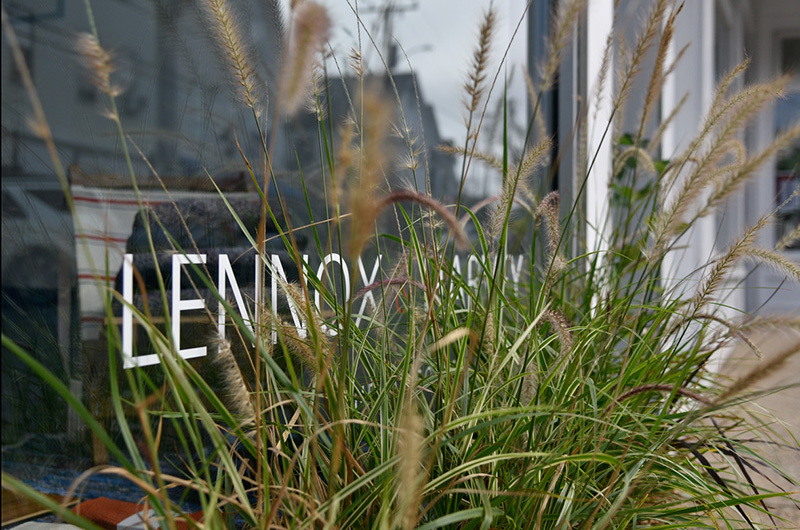 Mark Chung and Eric Coles opened Lennox & Harvey this summer. For the two New Yorkers it has been a long time coming. 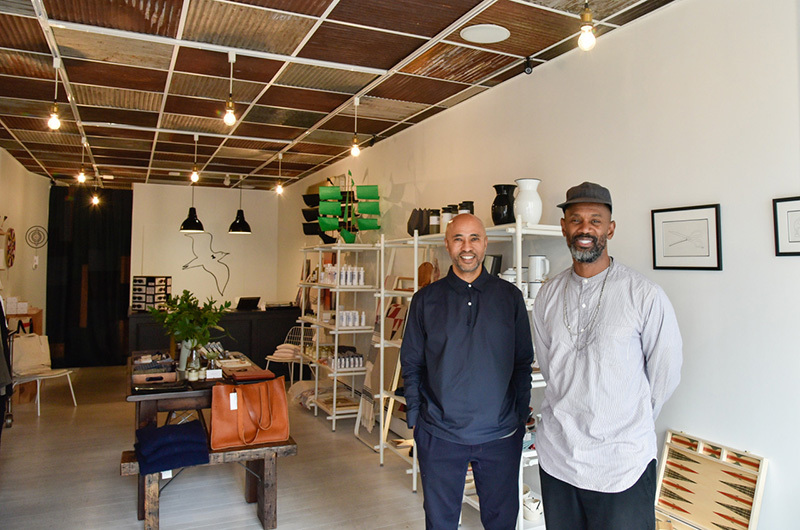 Mark Chung and Eric Coles spent the last three decades in Brooklyn and Manhattan, building careers in fashion and retail. Mr. Chung worked with high-end household goods brands and Mr. Coles managed a fashion photography studio. They often dreamed of opening up their own store but the costs in New York always proved to be prohibitive. In November of last year, after years of visiting Martha’s Vineyard and staying on the Island part time, they decided to move permanently to Oak Bluffs and to give their dream a shot. They spent the winter and early spring putting the space together, sanding and painting the floor, painting the walls, and installing corrugated metal ceiling tiles. On May 12 they opened Lennox & Harvey on Main street in Vineyard Haven. “We’re calling it a modern-day general goods store,” Mr. Chung said on a recent morning. Inside the store a wandering gaze might land on a floating Danish mobile, a fire-starter kit from Minnesota, a leather bag from Namibia or a Viking-inspired lawn game. The store is named for their respective grandfathers, each a jazz musician. Lennox, Mr. Chung’s grandfather, lived in London. Harvey, Mr. Coles’s grandfather, lived in Philadelphia. “They were cool, well-traveled guys,” Mr. Coles said. “Music plays a big part in our lives.” A retro turntable with a Solange record rested on the counter by the register. The turntable has become something of a good luck charm. They were excited as they prepared to welcome customers for the first time, but in an economy increasingly dominated by online shopping they were not without their doubts. “You never know. It’s 2018 and we’re opening a retail store,” Mr. Coles said. A few minutes after they opened the door on the first day, a couple from Chicago wandered in. “When did you open?” one of the customers asked. “About 10 minutes ago,” the owners answered. The shopper picked out a lip balm and some soap, and prepared to check out. As Mr. Coles and Mr. Chung rang up the modest inaugural sale, the customer noticed the turntable on the counter. A Sade album was playing. “Throw in the turntable too,” the customer said. “So then I thought, you know what, I think we’re going to be okay,” Mr. Coles said laughing. The couple said the Island community has continued to reinforce that feeling. They are the only two employees of the store (Mr. Coles still commutes back to New York each month) and they endeavor to strike up a conversation with their customers. They said many people have returned again with friends and given them shoutouts on social media. Island painter Sarah Moore is displaying line drawings of tools on one of the walls. The international collection of items in Lennox & Harvey has delighted touists and year-rounders alike, often in ways that surprise its owners. An elegant set of white enamelware with blue trim has gone unnoticed. “We were convinced that this enamelware would fly off the shelves, and nobody cares,” Mr. Coles said. Meanwhile, a brass tube of strike-anywhere matches has been unexpectedly popular. People have also loved the kites shaped like ships with wide blue sails, the rubber birkenstocks, citronella coils that can be hung from the branches of a backyard tree. It was a busy opening season. “We went to the beach once together,” Mr. Chung said, laughing. The store will continue to be open through December and reopen in April. The couple plans to use their three months off to travel. This winter, they’ll go to Denmark and Portugal, two places neither has been to. “Owning a shop and being able to travel for the store and for us at the same time, it’s great because the two passions sort of feed each other,” Mr. Coles said. But before that, there is autumn to prepare for, and the holidays. Style, charm and buzz. I pop in every time I am in VH for a chat and hug or to buy something. A great addition to our Main Street. The owners, delightful guys, ARE the store—-go see for yourself! 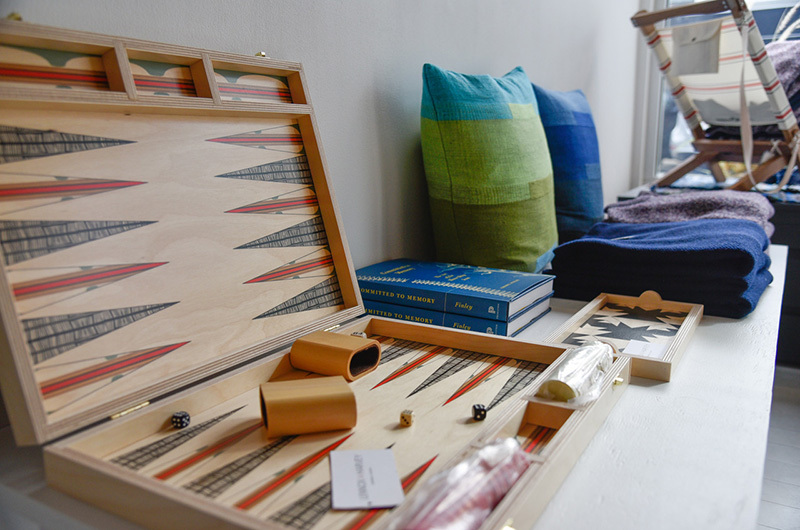 This store is an oasis because of its spare and simple display of high quality items and art. The owners are delightful. I wish them every success. This store is a wonderful retail addition to the island; but more importantly, Mark & Eric embody exactly the sort of personal passion and authenticity that makes Martha’s Vineyard such an eclectic and unique community. I am so very proud of my friends Eric and Mark! Fellow ex-New Yorkers who succumbed to the year-round Vineyard embrace. And what a contribution they’ve already made! 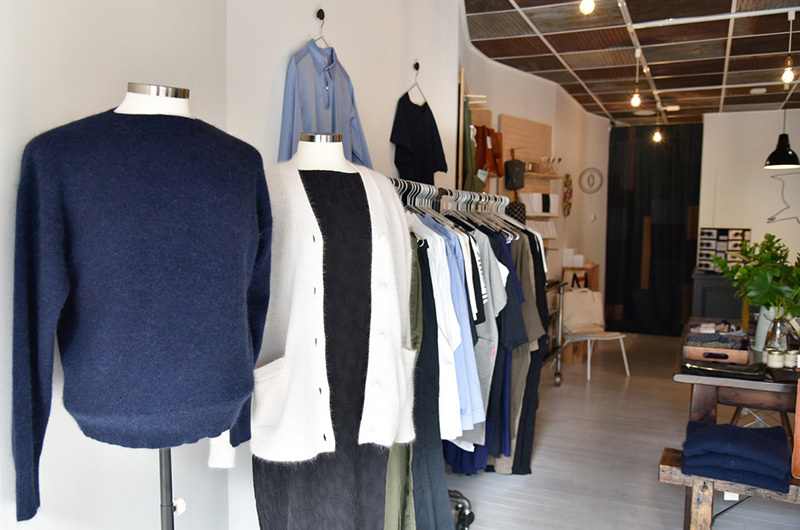 Lennox & Harvey is a jewel along Vineyard Haven’s quietly rising retail corridor. I’ve visited to store a couple of times, and have been impressed by the selection and the clean design of the space. Well done gents, I’m sure I’ll be in again! recently met Mark and enjoyed him just as much as the store. Such a lovely space and collection of merchandise. Looking forward to the arrival of the bell chimes!!! Neat product, awesome people, great store.